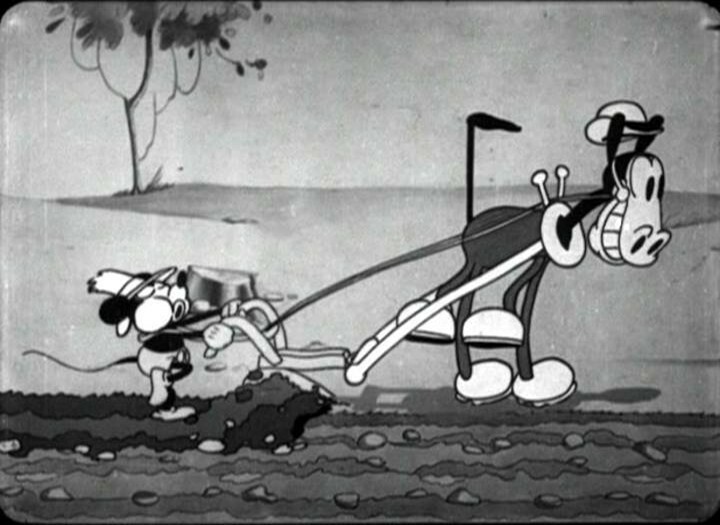 Plowboy, The (film) Mickey Mouse cartoon; released in 1929. Directed by Walt Disney. When Mickey and Minnie attempt to milk a cow, they meet Clarabelle Cow and Horace Horsecollar (in their first cartoon), and the two couples play tricks on each other.